Were you one of 5 Jennifers, Jessicas, Sarahs, or Nicoles in your class growing up? Did you resent having a nickname like Jen #3 or Jessica B. in order to differentiate yourself from the others? 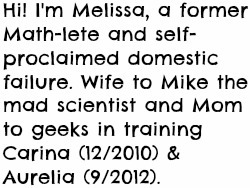 I was one of 3 Melissas in my class, and while it was never a big problem for me, I did vow that I would choose more unique names for children someday. 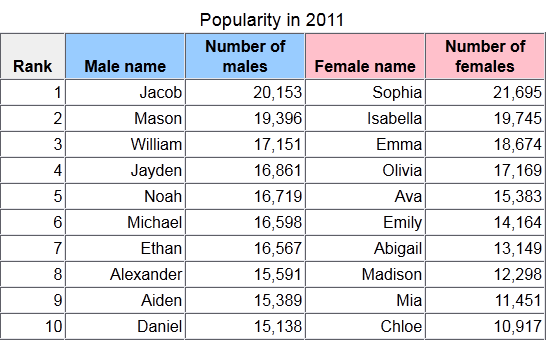 The Social Security Administration just released 2011's Most Popular baby names list. While looking at the list, I didn't see any surprises. Many of the names were repeats from the last few years. Then, I checked out the total number of births associated with each name, and it piqued my interest. 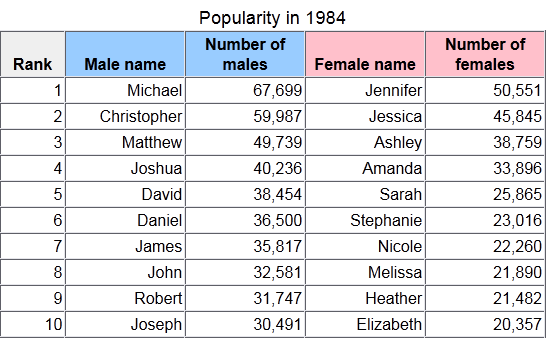 What was the number of births like for the most popular names the year I was born? Whoa! For most of the entire top 10, there were ~2-3 times as many babies born with each ranked name in 1984 than there were in 2011. Sure, they were both the most popular name each year, but looking at today's numbers - there just aren't nearly as many births for each name. Meaning, it's not nearly as likely that your Sophia, Isabella, Jacob, or Mason will have 5 others with the same moniker to contend with, like we Ashleys, Melissas, and Amandas did back in the day. This is all just something interesting to keep in mind while choosing a baby name. While neither Carina nor Aurelia are in the Top 1000 for 2011 (whoa - guess we're really weird), looking at the numbers this way instead of only paying attention to their rank makes me feel confident that we still would have used both names, even if they had ended up on the Top 10 list. 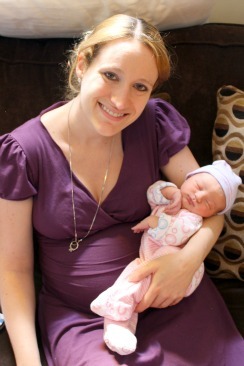 Where does your baby fall on the 2011 list? 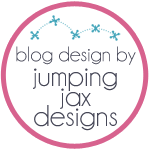 Do/have you discounted a name because of its popularity?